We've been in Palm Springs for the past five days & we have both fallen in love with it. Even Mark said the unimaginable, that he would buy a place down here. You know he likes a place when he considers purchasing real estate. Me, I want to buy real estate every place I visit. Not Mark. In fact he usually just rolls his eyes when I say such things. But it's not hard to see the value here. To get to Plam Springs is an easy 2.5 hour flight from Calgary. Making it a place one could easily fly to for the weekend. The Palm Springs airport is a dream to land at, or go through to go home. Making one of the worst parts of travel a dream. After 5 days I feel like I've barely scratched the surface of what there is to do here. 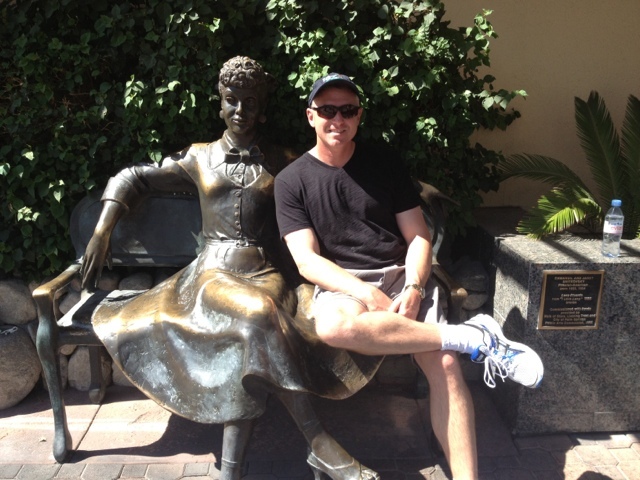 Palmspringslife.com is an amazing resource we used everyday to figure out what we wanted to do next. The listing start at 7am and has an activity or event laid out for every hour of the day right up until 10pm. For a community that is officially on its 'off' season it sure isn't lacking in things to do. We did VillageFest Thursday night, where we bought a bunch of locally grown food. 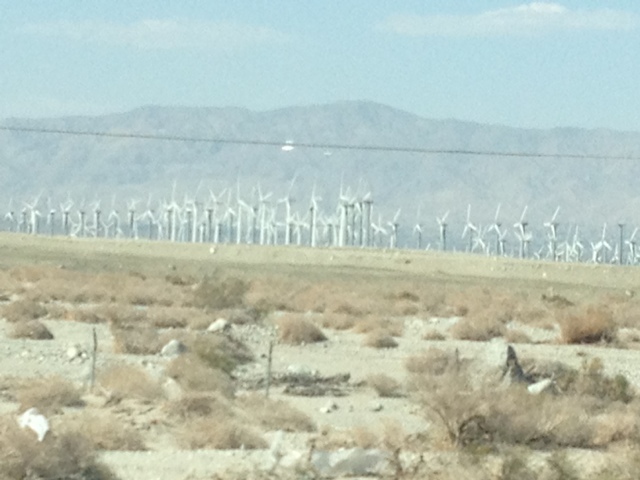 Friday we drove to Cabazon (land of wind farms) & hit the outlet mall & than the casino to see the Beach Boys. Mark says if you want to feel young for your 40th birthday go see the Beach Boys! Saturday I did a mid-century modern tour. 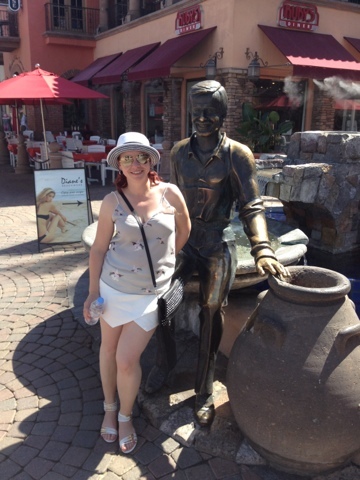 Where I got a lot of information on the history of architecture in Palm Springs. Then we went to the Spa Casino to watch the Spirit of Elvis. 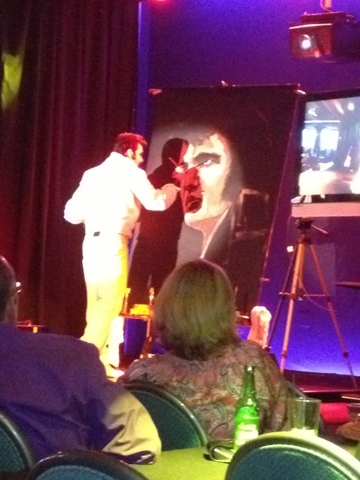 Where Elvis painted a picture of himself as part of the act. And finally, just took it easy yesterday at the pool. All in all a great trip, we'll be back! Posted by Heidi Schempp Fournier at 10:39 a.m.